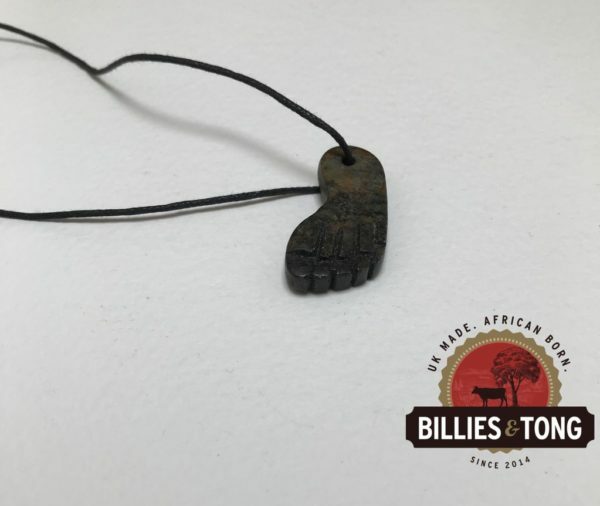 A beautiful handcrafted foot pendent made from south African soapstone. The pendent comes on a waxed cord so to be worn as a necklace. Each pendent is handmade in South Africa and Gerry brings them back to the UK when he returns from visiting his family. We only sell fair trade items and the maker of the pendent was paid fairly and continues to be able to provide for his family.